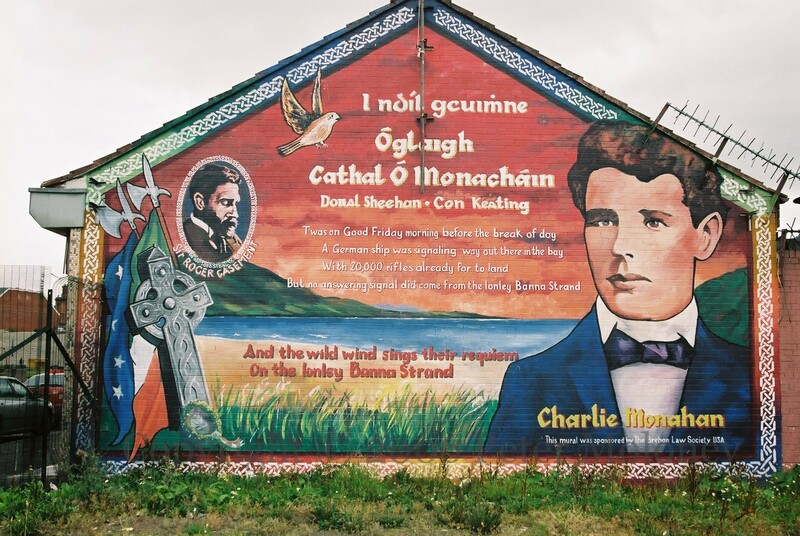 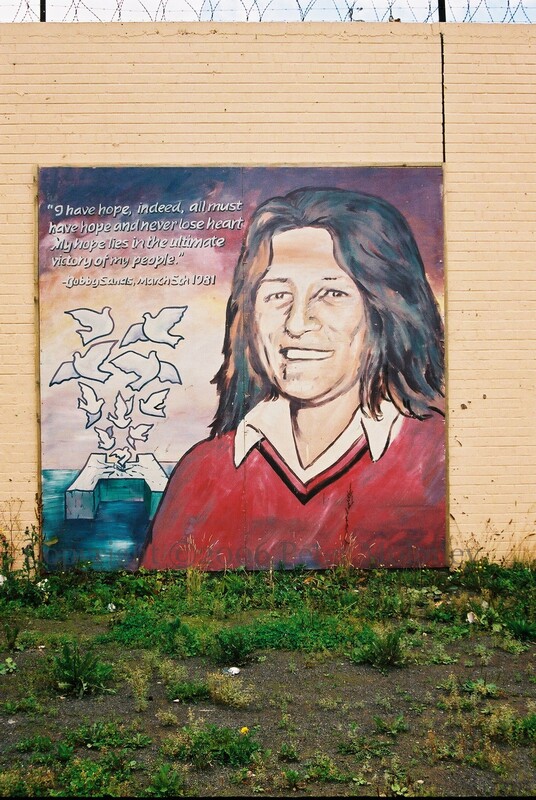 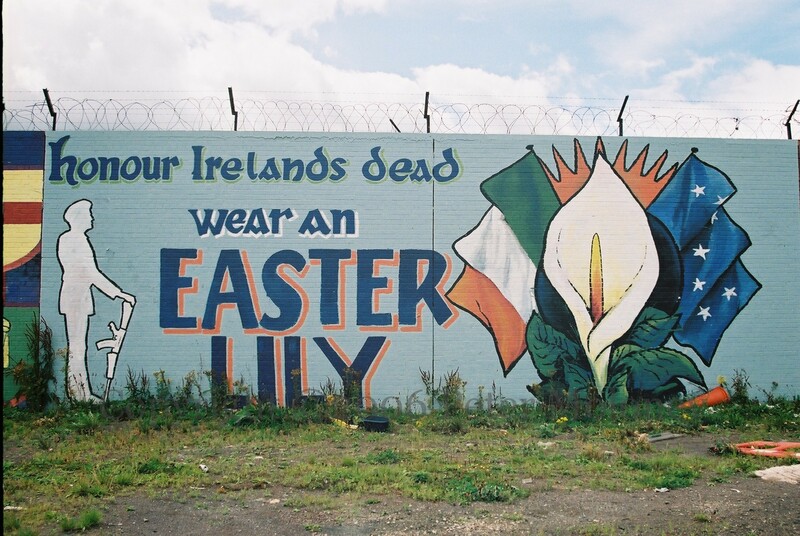 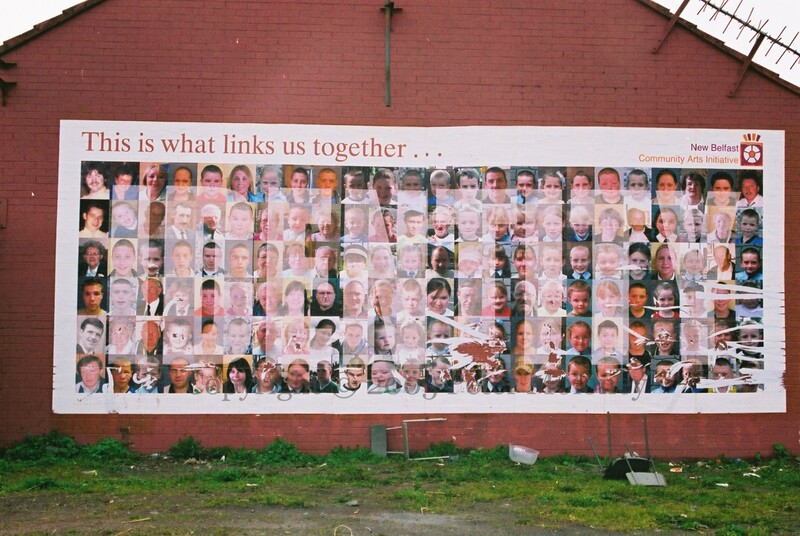 East Belfast is solidly loyalist but there is a small republican area immediately east of the Lagan, known as Short Strand, home to about 6,000 Catholics – about one tenth of the population of east Belfast. 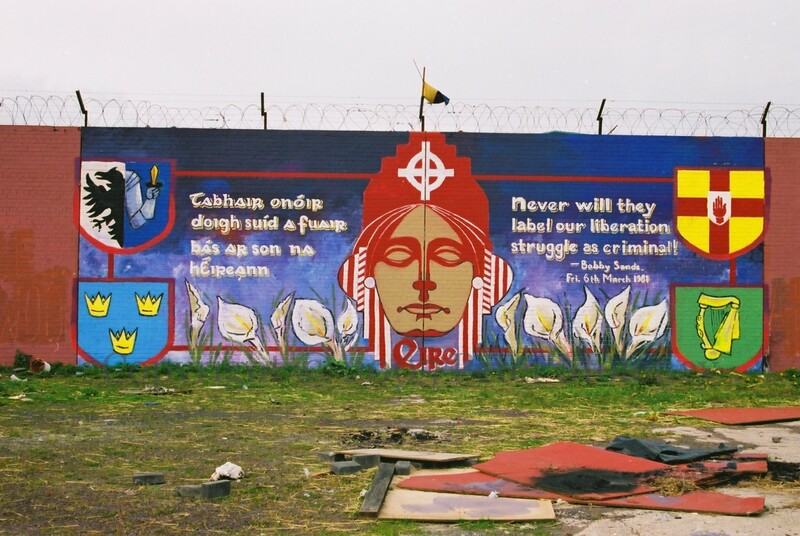 St Matthew’s (Catholic) church on Bryson Street serves as the north-east perimeter of Short Strand and was the site of a gun battle in the early Troubles in which three people were killed and which proved the strength of the recently-formed Provisional IRA (Battle Of St Matthew’s). 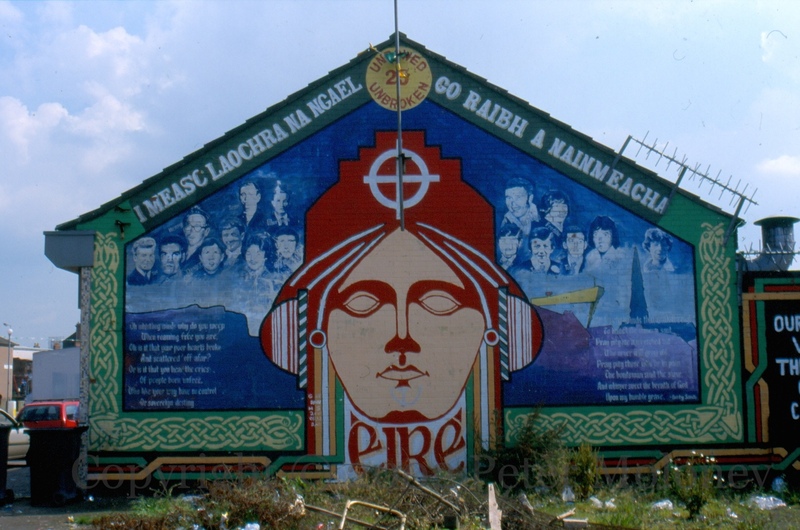 Mountpottinger Road in the main north-south route through the area. 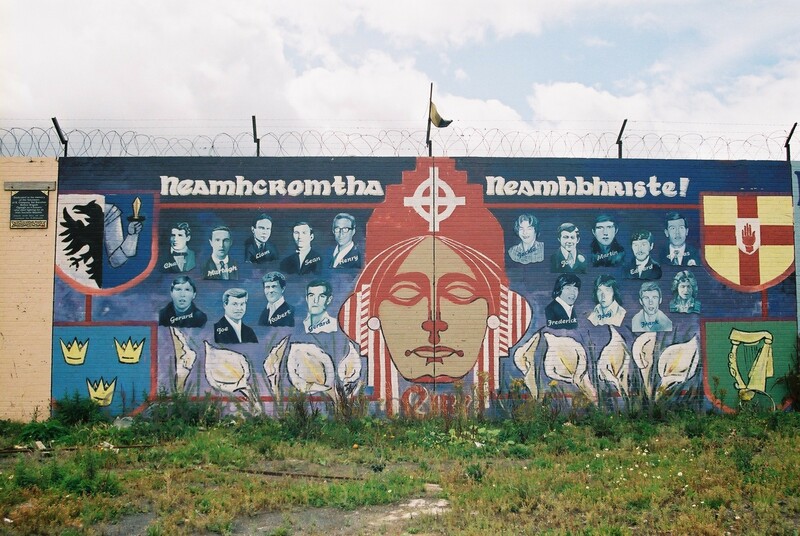 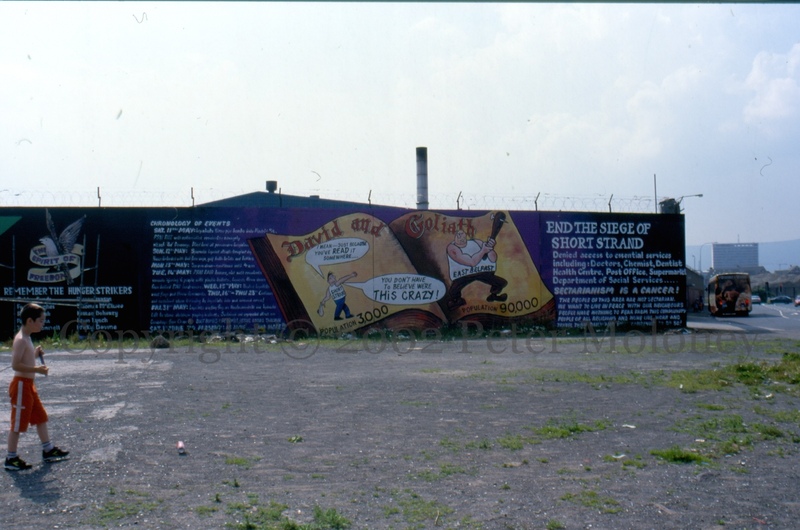 The northern end was in former times heavily industrialised but all that remains now is the bus depot, the eastern wall of which provides a long surface and a prominent site for republican murals. 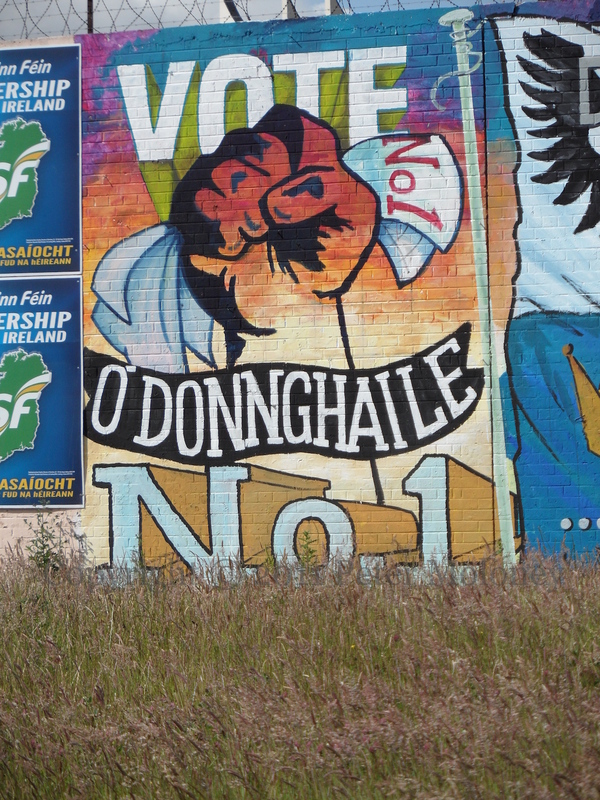 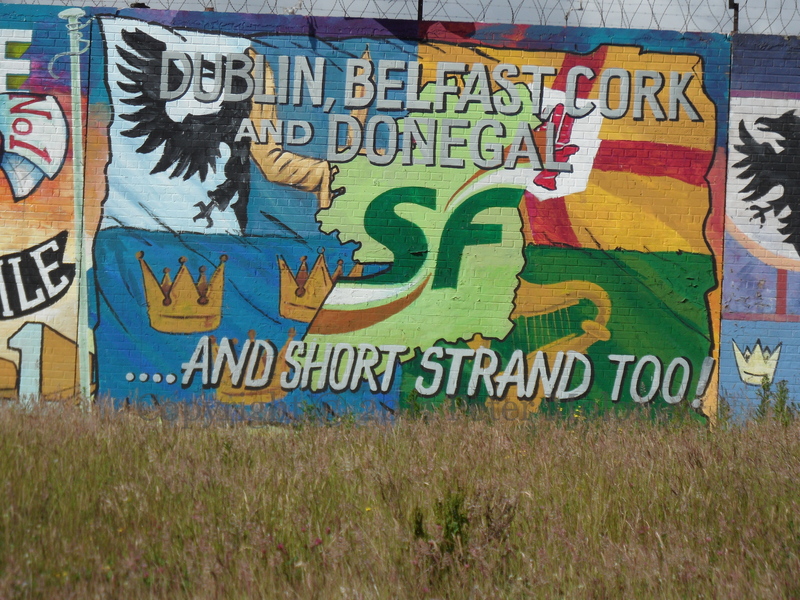 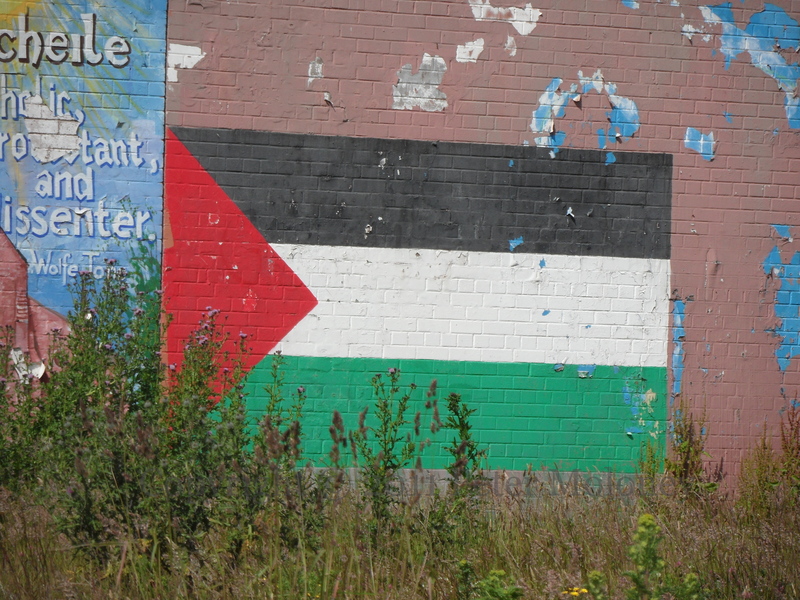 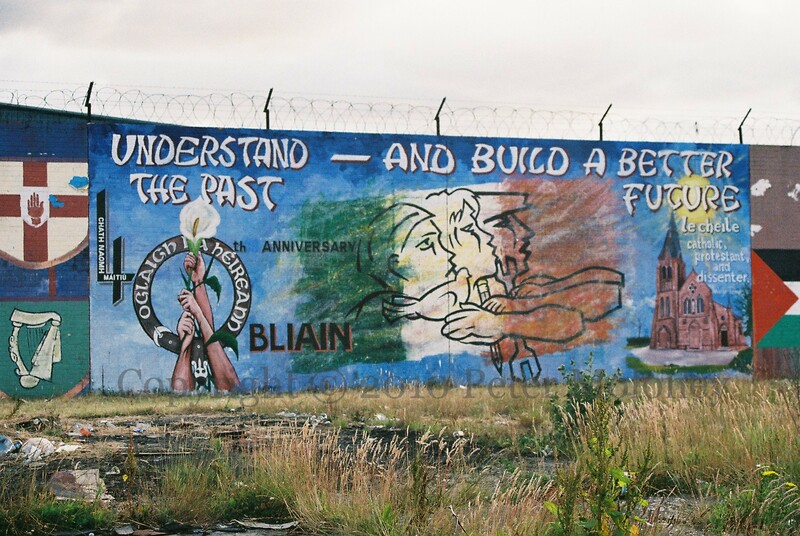 2014 – The wall is completely filled in: three IRPWA murals are added in the corner, along with a JFTC2 mural, and Éire is replaced by a Gaza solidarity mural.